One of the most common topics I get asked about is what I have our girls team do for a warm up. Many people have heard me talk about my newer ideas for flexibility, and wonder how they practically show sup in training. The warm up is one big place we put these concepts in. It is a critical parts to daily training, and unfortunately one of the most common places I see errors in our sport. 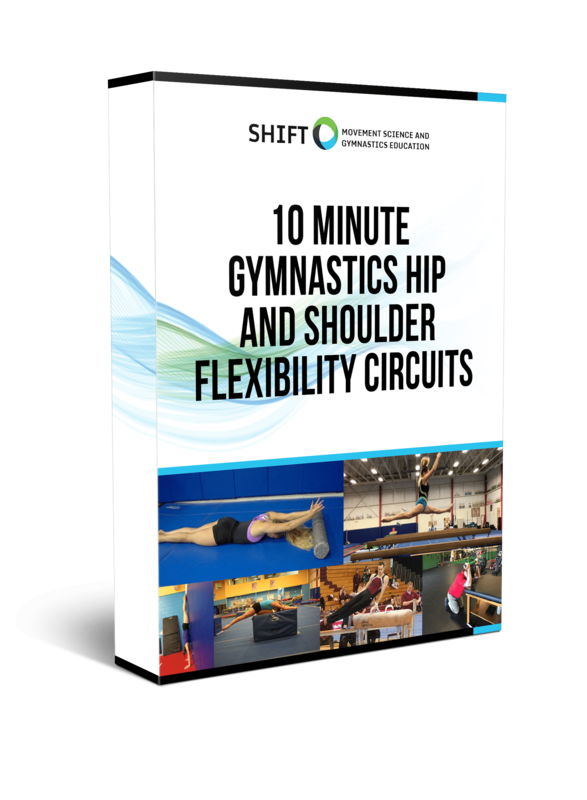 Over the last 4 years I have greatly changed how I design our warm up based off of current flexibility research, my experiences treating gymnasts with injuries, friends / colleagues who have taught me, and other great available literature. To help the gymnastics community out, I figured I would share our entire warm up rather than have people keep asking me similar questions and feeling overwhelmed leaving one of my lectures. I have split our entire warm up over 2 posts so the videos were not too long. Keep in mind, this fourth version is still being taught to many of our athletes who recently moved up and the video below certainly isn’t perfect yet. I hope people can take away the concepts knowing there is no one perfect way to do a warm up, and also understanding that just like any other gym we have quite a range of athletes. This is just my approach to it.